After all the years, after all the struggles, there is that. Chandler Catanzaro was successful on a chippie 26-yard field goal to give the Bucs a 26-24 victory over the Miami Dolphins. Yes, it was close. But with this franchise, it seems, you can never take kicking for granted. Of course, it should be mentioned that Catanzaro missed an extra point and a 53-yard field goal before his winner, which left all of us contemplating the familiar dark hole of this franchise. You know, the one that brought you Robert Aguayo and Nick Folk and Mike Nugent and Peter Rajecki and Bill Capece and Mirro Roder and George Yarno and Dave Warnke and Kyle Brindza. If Catanzaro had missed that last-second field goal, you could have heard heads explode all over Tampa Bay. It would have been "here-we-go-again" time. Preseason might not count for a lot, but at least avoided that. "Up and down," said Bucs' coach Dirk Koetter. "We got that first missed extra point out of the way. That was a tough situation with the 53-yarder. (I) thought about punting it there. I know he'll be his worst critic. He'll be the one saying he could do better. We expect better from him." Except for that, it was a keeper of a night. The Bucs played better than the final score would indicate. 1. The quarterbacks: Koetter couldn't have been more pleased. All three quarterbacks played well, and all led Tampa Bay to points. Starter Ryan Fitzpatrick hit six of eight passes for 55 yards. Regular starter Jameis Winston (who played second since he is looking at a three-game suspension) was 11 of 13 for 102 yards. He didn't throw deep much, possibly because he was playing behind the second offensive line. And third-team Ryan Griffin was excellent. 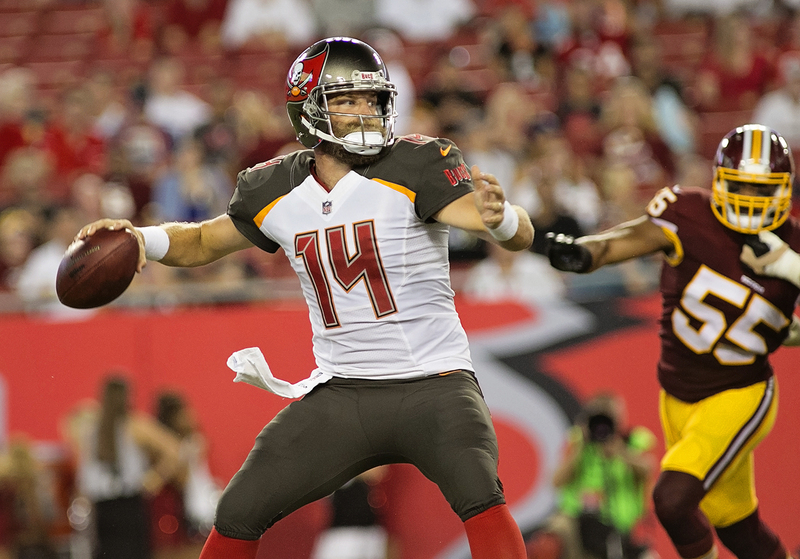 He hit 20 of 26 passes for a touchdown and guided the Bucs to the winning points in the final seconds. Together, the three hit 37 of 47 for 326 yards and a 103.5 rating. 2. The running game: Not so good. Payton Barber, the starter, was fine with only four carries for 21 yards. That was enough. As Koetter said, you don't want him to absorb a lot of punishment. But second round draft pick Ronald Jones II seems to have a ways to go before challenging to start. He ran eight times for only nine yards and dropped a perfect pass. However, he did score a touchdown. 3. The offensive line: It was hurting going into the game, and it showed. Again, the starters moved the ball well in their brief time, however. 4. The receivers: It was a great success. In all, 16 Bucs caught passes. If you're a Dolphin fan today, you're probably worried about your secondary which forced only 10 incompletions (and no interceptions) out of 47 passes. 5. The new defensive line: It wasn't in the game long, but it got off the field after two long Dolphin drives ended up with only three points. 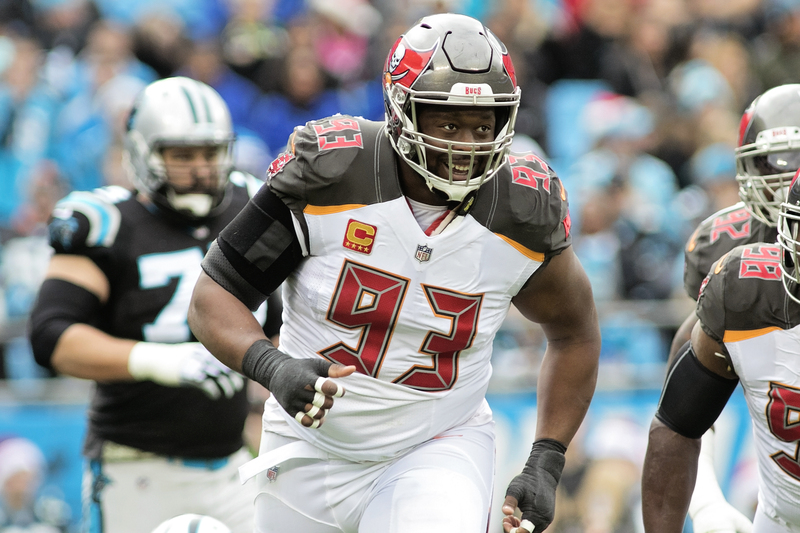 The Bucs did have two sacks, one by Gerald McCoy and one split between Noah Spence and Patrick O'Connor. 6. The rookies: A lot of them got their feet wet. Corners Carlton Davis and M.J. Stewart played early and often (starting corner Brent Grimes was out, and Vernon Hargreaves III was injured). Safety Jordan Whitehead played well. We're still waiting to see No. 1 pick Vita Vea. 7. The secondary: Keep in mind that Ryan Tannehill and his backups aren't the elite quarterbacks that the Bucs will face this year. But for a young group in its first game, they competed well. 8. The linebackers: How much of Lavonte David and Kwan Alexander did you expect to see? They were off the field in a hurry. 9. Kicker. Chandler Catanzaro did enough to keep the Bucs from bringing in other kickers (for the time being), but not enough to convince Bucs' fans he's the answer. We'll wait to judge this one. 10. The fans: Remind yourself of this: It doesn't matter. If the Bucs had won 70-0 or lost 70-0, it's just a practice game. Still, it's better to play well than not to play well, and it's better to come from behind than fall from ahead. The Bucs will go to Tennessee to play their next preseason game a week from Saturday.